Cute olive at the top, totally unnecessary though, You would be full because of it. Btw. 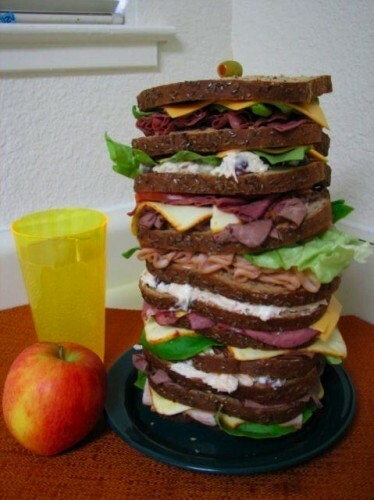 Dagwood is called Dagobert in Sweden. ALL HAIL THE MIGHTY SAMMICH, QUENCHER OF APETITES!